Netflix, CBS All Access, and Hulu have all released new previews and info for several of their upcoming series and films. In addition, MotorTrend and the BBC has announced a new US Top Gear show for the MotorTrend app, and Redbox has revealed its first original title for Redbox On Demand. Homecoming: A Film By Beyoncé (Netflix, April 17) - Presents an intimate look at Beyoncé’s historic 2018 Coachella performance that paid homage to America's historically black colleges and universities. Interspersed with candid footage and interviews detailing the preparation and powerful intent behind her vision, Homecoming traces the emotional road from creative concept to cultural movement. Brené Brown: The Call to Courage (Netflix, April 19) - With over 38 million views on one of the most viewed TED talks of all time, research professor and best-selling author Dr. Brené Brown presents an all-new take on courage in this hour-long Netflix original special. Featuring her trademark humor, honesty, and insight, Brown dispels the misconception that courage and vulnerability are mutually exclusive. She also discusses the origins of her TED talk and the insights she gleaned from the sudden visibility she gained following its outsized public reception. Filmed before a live audience at UCLA’s Royce Hall, Brené Brown: The Call to Courage challenges the viewer to show up, step into the arena, and answer their own call to courage. Lunatics (Netflix, April 19) - A Pet Psychologist to the stars, a Real Estate Entrepreneur, a cutting edge Fashion Designer, a budding Museum Owner, an arts and crafts Influencer, and the future Earl of Gayhurst. Lunatics: the story of six characters coming to terms with themselves and the world around them - be it a haunting past or a pressurising future, finding love or chasing dreams. Starring Chris Lilley, Chris Lilley, Chris Lilley, Chris Lilley, Chris Lilley, and Chris Lilley. The Last Summer (Netflix, May 3) - Featuring several intersecting stories, The Last Summer follows a group of recent high school graduates as they navigate their way through their final summer before taking off for college. As the youths wrestle with love lost and found, form friendships in unexpected circumstances, and take greater control in their relationships with parents, they ultimately decide who they will be and what they will do as they stand on the precipice of adulthood. Starring K.J. Apa, Maia Mitchell, Jacob Latimore, Halston Sage, Sosie Bacon, Wolfgang Novogratz, Gabrielle Anwar, Ed Quinn, Jacob McCarthy, Mario Revolori, Gage Golightly, Norman Johnson, Jr. and Tyler Posey. 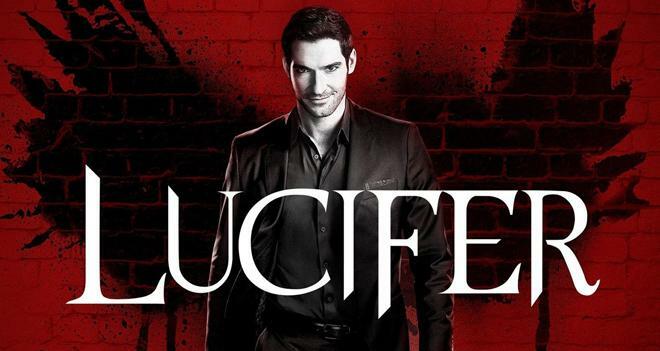 Lucifer (Netflix, May 8) - Reeling from the aftermath of Chloe seeing his devil face, Lucifer faces a new challenge: Eve, the original sinner herself, is back. Does she want revenge for when he tempted her out of Eden oh so many years ago… or something else entirely? Starring Tom Ellis, Lauren German, and Kevin Alejandro. The Twilight Zone (CBS All Access, April 18) - Episode 4, "A Traveler," stars Greg Kinnear and is hosted by Academy Award winner Jordan Peele. On Christmas Eve in Iglaak, Alaska, a mysterious traveler (Steven Yeun) wishes to be pardoned by Captain Lane Pendleton (Greg Kinnear). Veronica Mars Hulu, July 26) - Spring breakers are getting murdered in Neptune, thereby decimating the seaside town’s lifeblood tourist industry. After Mars Investigations is hired by the family of one of the victims to find their son’s killer, Veronica is drawn into an epic eight-episode mystery that pits the enclave’s wealthy elites, who would rather put an end to the month-long bacchanalia, against a working class that relies on the cash influx that comes with being the West Coast’s answer to Daytona Beach. MotorTrend Group and BBC Studios have announced a multi-year agreement to produce a brand new US format version of Top Gear. The new show is set to premiere exclusively through the MotorTrend app in fall 2019. In addition, the deal will also bring the complete Top Gear UK collection to the MotorTrend app in the US and Canada on June 4, including more than 200 episodes and specials, along with a commitment for future seasons. 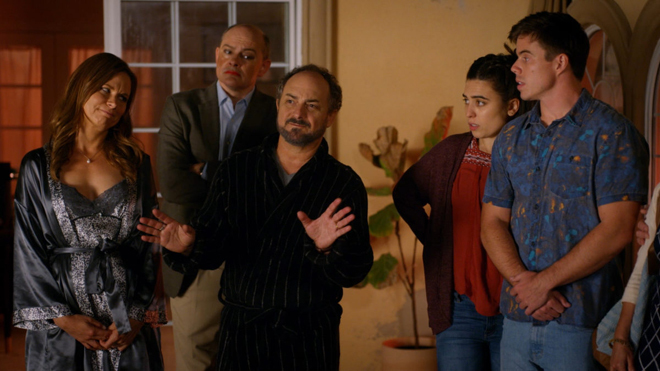 A family calls in an intervention for their fifteen year old son who they think suffers from drug addiction. During the intervention process, it becomes apparent that the ones who confront Benjamin's addiction the most have many problems of their own. - A current MotorTrend subscription costs $5 per month.